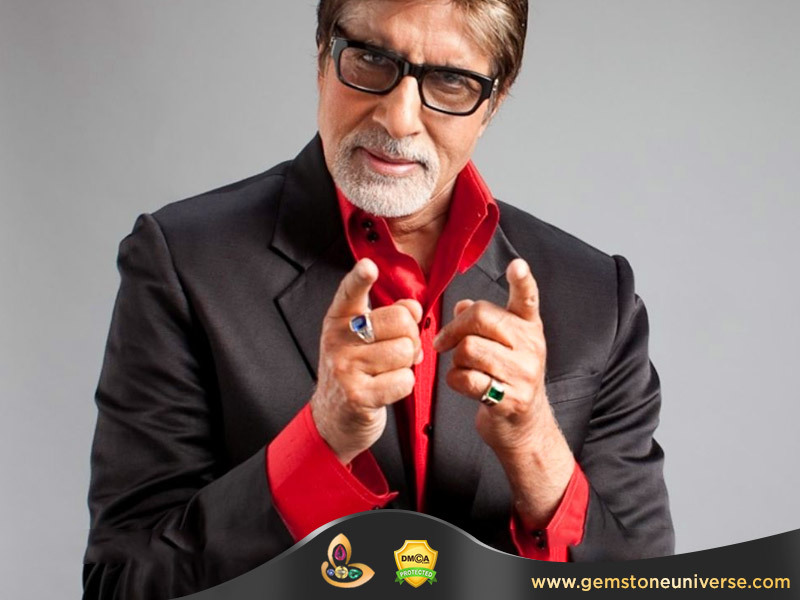 You are here: Home / Article Knowledgebase / Stars and their favourite Gemstones-The Gemstones of the Iconic Amitabh Bachchan!. Amitabh Bachchan and his Blue Sapphire and emerald! A Gemstoneuniverse.com special on the star’s birthday today! The sapphire stones on Amitabh’s fingers are stunning. Blue gemstones are truly alluring and never out of place on any man or woman. Another blue gemstone is the relatively newcomer, Tanzanite. This violetish-blue crystal has been mistaken for sapphire as both have similar brilliant blue colour. Tanzanite has been touted rarer than diamond becaused it’s only mined in one continent. Due to this scarcity and imminent depletion, the value has soared manifold.